Some might say that one’s wedding day is the most important day of their lives. It is a union that is only surpassed by the birth of one’s children. The key to a happy and well organized wedding is preparation and organization. That is the goal of this step by step wedding planning guide. Some may think that all the hype about wedding planning is just overplay; however that is not the case. Planning your wedding can be one of the most complicated things to do; especially if you don’t prepare yourself for the long list of things that need to be done. 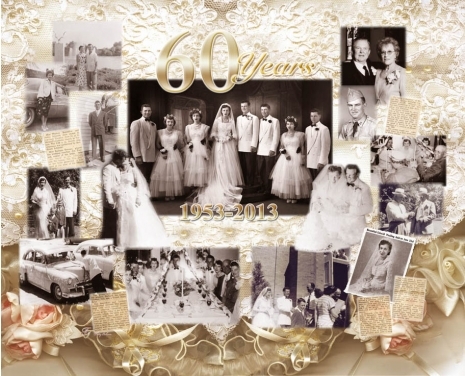 To get your Wedding or Anniversary party off to a memorable start, how about a special Canvas Wrap collage of your special memories. Combine three generations if you like -it will make a beautiful conversation piece at your reception! The next thing on the wedding checklist in this step by step wedding planning guide is the guest list. Many think that this is the hardest part of wedding planning because it has to be based around the budget. Deciding how many are going to be on your guest list does take presentence, to most people, over the location and theme. This is because of how special this day is. 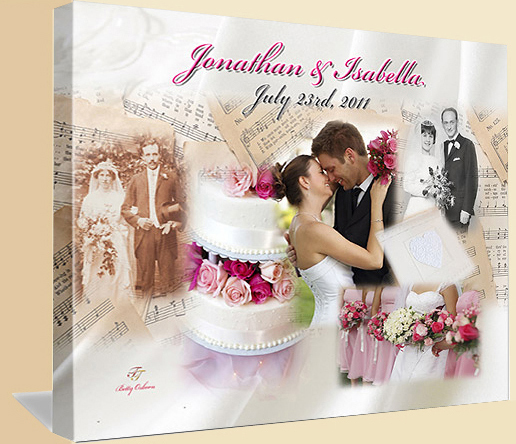 It all revolves around how many close friends and family members you want to share your special day with. This next section basically consists of the more intricate and detailed tasks that are outlined in this step by step wedding planning guide. This is instrumental to the overall flow of the wedding in general. You will need to choose a caterer for the reception meal. The catering company needs to be reliable, professional at what they do and most importantly offer quality of service and great food. Caterers can provide testing samples during your decision stages to assure that the proposed menu will meet the tastes of the bride and groom. Coordinating the music is usually a pretty easy aspect of planning your wedding. All that is really needed is a musician, band or DJ that can be versatile enough to meet the music likings of the bride and groom. It is important to seek out a semi professional band; as one of the worst things would be if they never even showed up. You would also want to look for someone who has experience with weddings; as they will need to entertain the guests and keep the mood and events of the reception flowing; leading your guests through a series of predesigned reception events. 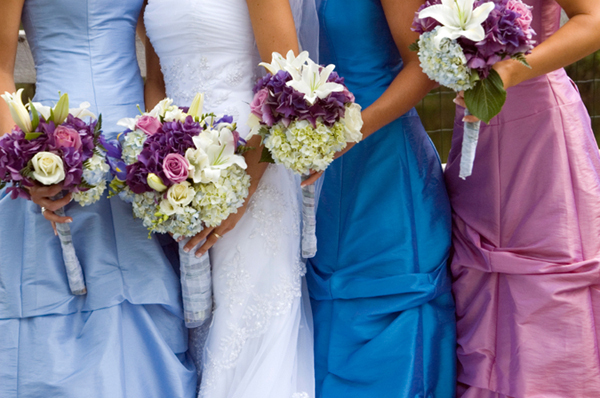 It is a great honor for most to be chosen as a best man or maid of honor; that’s a given; but it is also an honor to just be chosen to participate as a bridesmaid, groomsmen, flower girl and/or ring bearer. Though there are other aspects of planning your wedding that should be on your wedding checklist; this Step By Step Wedding Planning Guide should get you well on your way to making the appropriate arrangements and decisions. The key thing to remember when planning your wedding is the budget. Once you know how much you have to spend; everything else will fall into place! Carmen Palomo is a gift consultant for weddings, anniversaries birthdays and other miscellaneous occasions. I am here to share my thoughts on gift giving and I bring years of firsthand experience to those who are searching for the best gifts to give. Read through my many articles to get a better idea on how to pick that next gift for that next occasion.